This week’s Top Chef started with Padma presenting guest judge Jamie Bissonnette as her partner for the quickfire challenge. Since the competition is really heating up now and the chefs are starting to see who is a threat to them and who isn’t this week’s quickfire challenge required every chef to pick another chef to compete against in a cook off. Reynolds Wrap products must be used by the chefs to cook their dishes. Katsuji chose Aaron to go up against, which is not surprising when you consider the war of words the two chefs have been having. Carrie Ann chose Stacy as her opponent because she felt Stacey was the weakest chef in the competition and she would be easy to beat. The chefs got to choose from a list of dishes they had a half hour to prepare in order to complete the quickfire challenge. When it came time to judge the quickfire round, more praise was given to the chefs than you normally see during quickfire judging. This is a testament to how well each chef created their dish for the challenge. Though everyone seemed to have done well in the mind of Bissonette of course one chef from each pairing was praised for out cooking the other one. Katsuji, Doug, Carrie Ann, Katie and Gregory were all named winners of the quickfire challenge, though Gregory won the $10,000 prize that came with coming out on top for the quickfire challenge. The interesting part of this week’s show is that at the conclusion of the quickfire challenge the chefs were split into two teams for the elimination challenge. One team was made up of those whose quickfire dishes were deemed less successful than their opponents. This led to a different dynamic for the elimination challenge that gave it its own unique feel compared to elimination challenges in past episodes and seasons. 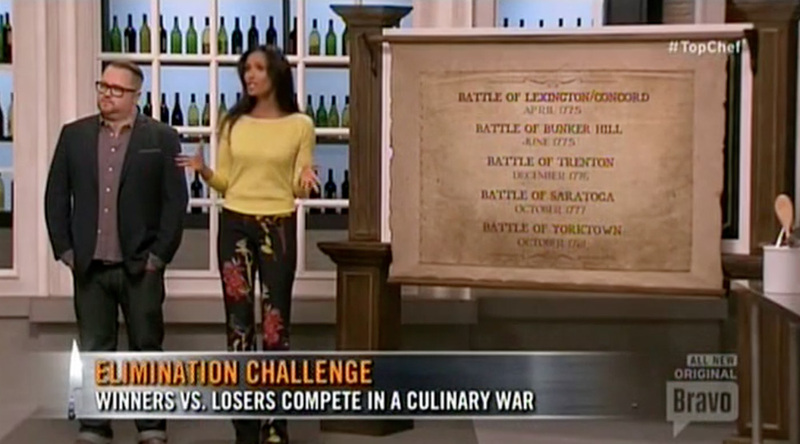 Referring to the elimination challenge as “War” only turned up the level excitement this brought. For this challenge the chefs had to create dishes related to the Revolutionary War. 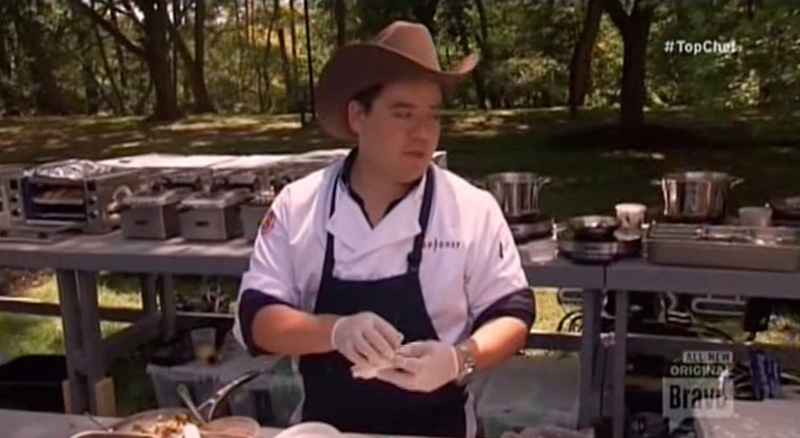 Both teams had to volunteer one chef to compete with another chef for each Revolutionary War battle. This led to many of the chefs who went up against each other in the quickfire challenge going up against each other for the elimination challenge too. Both teams were given a $1,000 grocery budget. 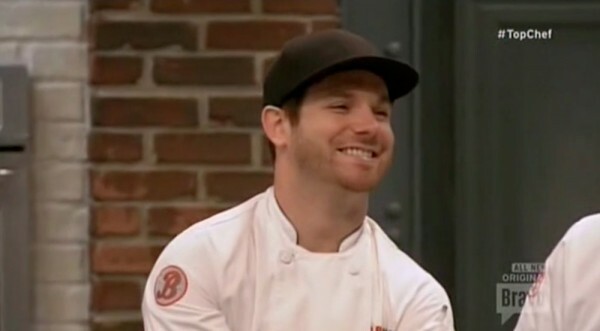 As the leader of the red team, Adam decided each chef on the team was responsible for spending $200 of the $1,000 they were given. He felt this strategy would give them an edge over the blue team, who was not as organized. Having to work within the budget they had chefs were forced to choose cheaper ingredients than what they would have liked to use. Once the chefs arrived back at the Top Chef kitchen the competition really started to heat up. Katsuji did express concern that he was up against someone who had more extensive experience preparing dishes of the highest quality than he has. However, this didn’t seem to shake his confidence at all. Aaron stated that he was going to concentrate on his dish and not let Katsuji get to him, which is an improvement over past weeks when Katsuji was more concerned with arguing with Aaron than focusing on his cooking. The chefs prepared and presented their dishes to the judges. Those who won against their opponents were Katsuji (for the Battle of Bunker Hill,) Gregory (for the Battle of Trenton,) Stacy (Battle of Saratoga) and Katie (Battle of Yorktown). Fittingly enough this stage of the competition was carried out at a Boston Watertown Arsenal. The Battle of Yorktown was more heated than the others simply because it put Katie against Aaron and much to Aaron’s chagrin Katie blew him out of the water. The overall opinion was that each chef did well with their dishes, thought he blue team won the “war.” This meant the red team was scrutinized and then one of them was chosen to go home. 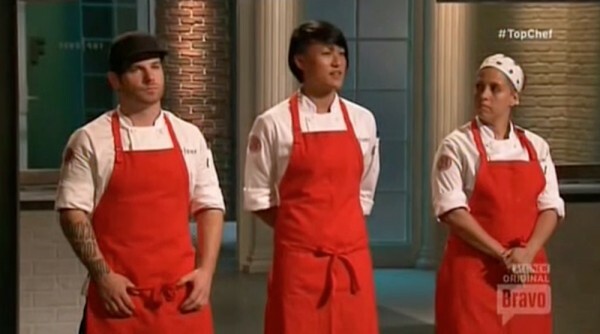 Adam and Mai were highly praised for their dishes and told they were safe from being eliminated from the competition. The judges then talked to the chefs in danger of being eliminated this week. They told Aaron he “bit off more than he could chew.” Aaron confessed he knew part of his dish would be limp but he left it that way anyway. Stacy was told she only won because the chef she was put up against was weak. Once the judges made their decision, much to Katsuji’s joy I’m sure, that Aaron was the chef being eliminated the other contestants looked visibly relieved. During his parting words Aaron mentioned that he probably didn’t make it through the competition because he didn’t have the formal culinary training a lot of the other chefs did. Aaron’s downfall was the fact that the judges felt he had tried to do too much with his dish, which was a pork meatball with scallops and noodles. 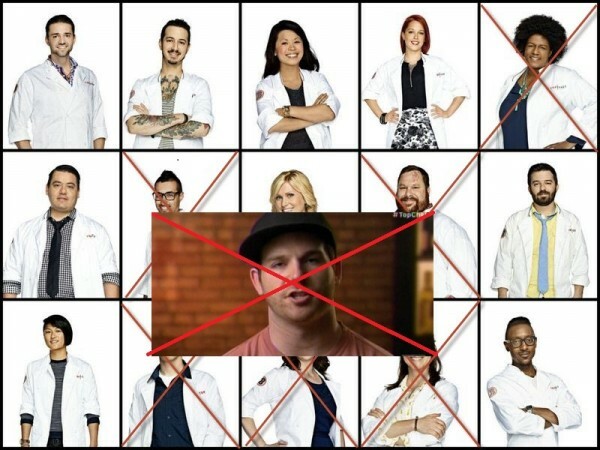 Like Aaron or hate him you have to commend him for not walking away from the competition a sore loser. The last time he spoke to the judges and the other chefs collectively he told them that it was an honor and a pleasure to have stood among them. This is kind of surprising when you consider that from day one of this competition Aaron did nothing but badmouth Katsuji and whoever or whatever else made him angry. If you’ll notice this week’s Top Chef did not include personal drama between the chefs. 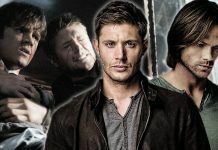 I think cutting down on those scenes was the right thing to do. At the end of the day Top Chef is a cooking competition not a soap opera. It seems the producers have finally acknowledged that viewers like me are more interested in seeing the cooking aspect of the show rather than the catty name calling and verbal arguments. 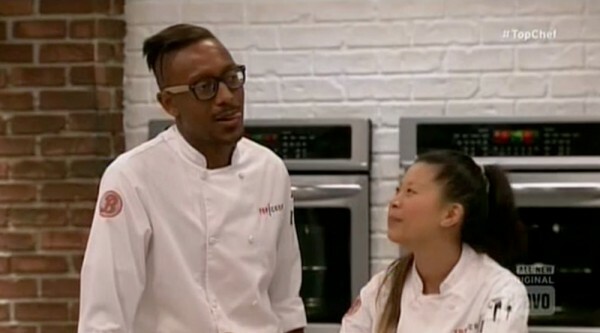 The intrigue continues on next week’s Top Chef. 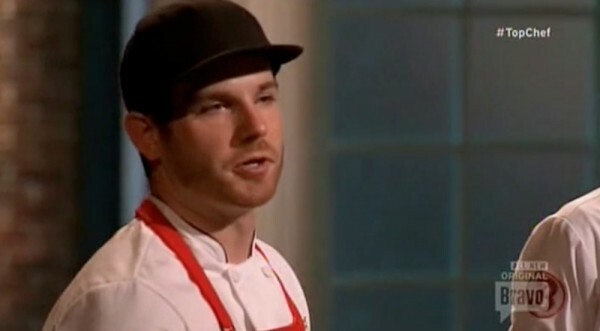 Shortly after last week’s Cheers episode, news broke that Aaron Grissom had been arrested for domestic violence, but thankfully that wasn’t why he went home from Top Chef: Boston. He was sent packing because he just didn’t size up to the other contestants, but Bravo did lose the little man everyone loved to hate. 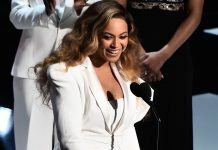 Now even his old employee Bow & Truss have announced that he is no longer working for them and has moved on. As with many losers on this show, he’ll be quickly forgotten, but I’m sure he’ll make himself known in the reunion show.